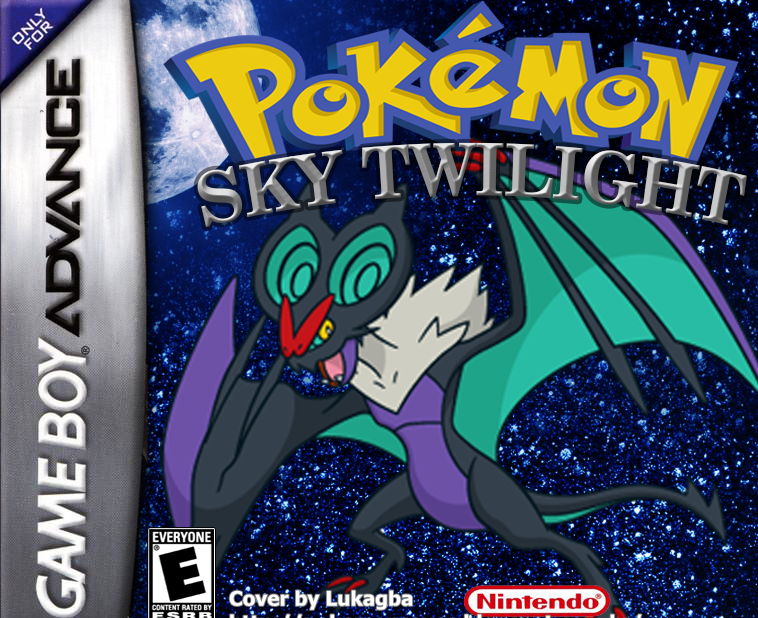 Pokemon Sky Twilight is a awsome Hack Rom ,The Vurous Region is one of the most popular area in the Pokemon World however, there is a hidden legendary Pokemon everywhere. There are some in the north, east, south, and west. There is one and very powerful legendary Pokemon has been protect the region but there is some rough, awful, and unacceptable guys known as Team Volt that trying to find and control that legendary Pokemon for their own hands. 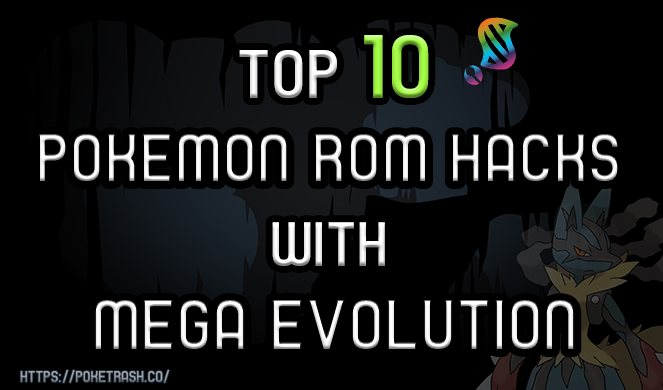 Also, there trying to get ruined of Mega Evolution which one of the things that they hate the most. 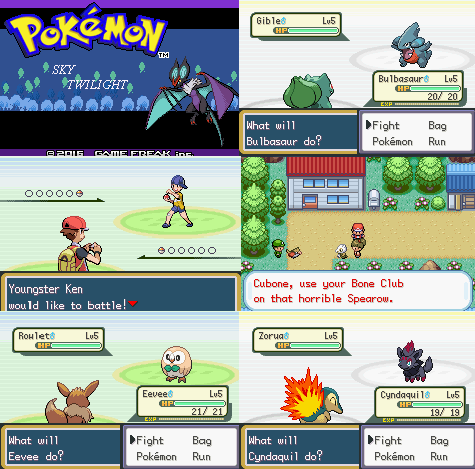 Gen 4-7 Pokemon. Over 721 Pokemon available in this region. Gen 4-6 Moves.There not all appear but there are some great valuable move such as Flame Charge, Dark Pulse, Aqua Tail, Power Whip, and many more. Gen 4-6 Items. There are some valuable items such as Life Orbs, Shiny Stones, Rocky Helmets, and many more. Gen 4-6 Abilities. There are some unique abilities such as Big Pecks, Super Luck, Hydration, and many more. Mega Evolution.You are able to Mega Evolve your Pokemon. Custom Mega Evolution. So your dream mega evolution can come true to this game. Updated Sprites. For Pokemon and maybe Trainers. Updated Moves. There are some original moves that have been update such as Vine Whip, Hydro Pump, Ice Beam, and many more. Fairy Type. New addition type Fairy Type from Gen 6. Exp. system at catching. So you can gain experience after you have capture a Wild Pokemon. Repel BW System. So you can repel over and over again without going to your bag section. HG/SS music. To have a Pokemon HG and SS feeling. New Tiles. To make the graphic good as possible.